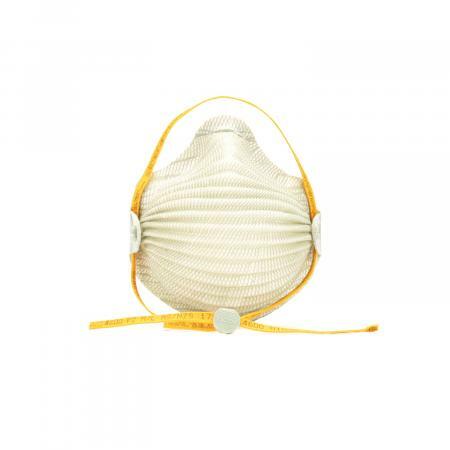 Easier breathing and cool comfort are what you get when you wear an AirWave respirator. 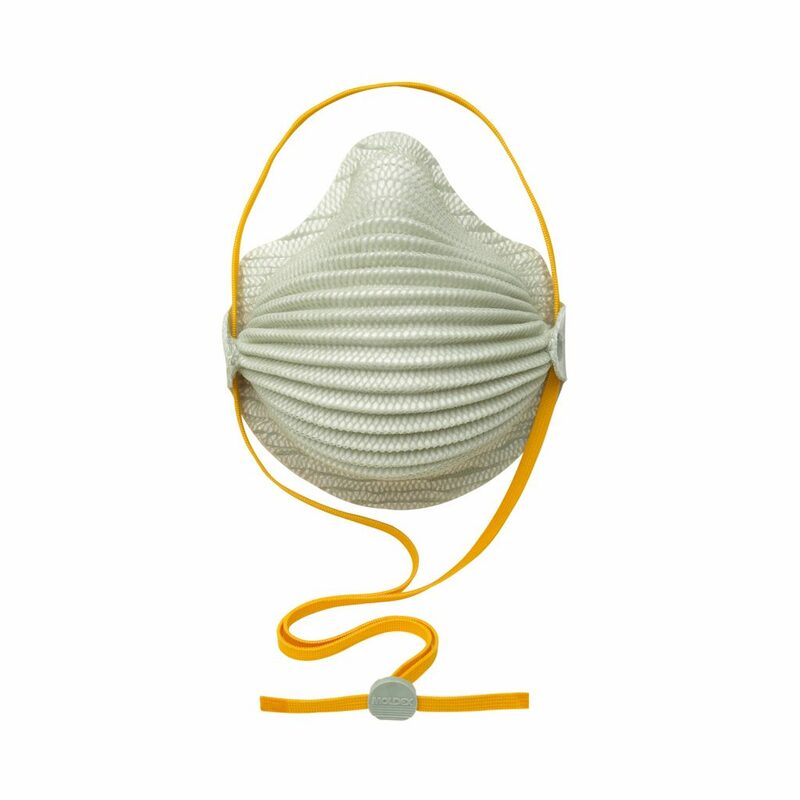 The larger surface area of the patented wave design means more air flows in and out of the mask – all without a valve! 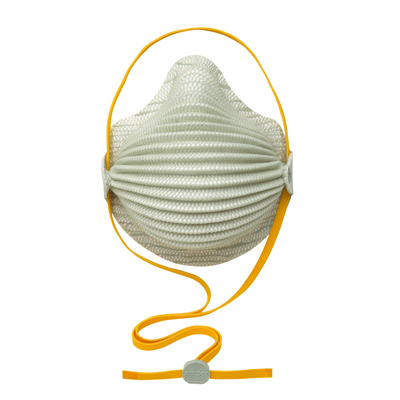 Easy breathing… by design. Hot and humid environments such as welding, soldering and brazing, grinding, sanding, sweeping, bagging, stone quarrying, metal machining, cement, mining, polishing, buffing, lime, poultry and textiles. No oils present. Note: For areas with oils present, you must use an R or P respirator. Call our Technical Support Department for more details.